Superfoods are super, because they contain lots of nutrients. PURYA! Superfoods are all organically grown and obtained regionally, whenever possible. We always try to work directly with the growers. PURYA! Superfoods are especially suited for use in smoothies, protein shakes, yoghurt, muesli, fruit drinks or salads. Chia seeds (Salvia hispanica) have been grown in South America for centuries and are considered a valuable food. The small seeds are rich in omega-3 fatty acids and protein. 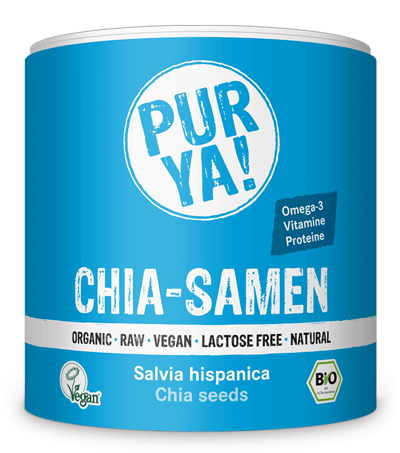 Quite fittingly, chia means strength in Mayan. Chia seeds are very popular among athletes and in raw vegan cuisine. Enrich your protein shakes, smoothies, yoghurt, backed goods with a tablespoon of chia seeds. Do not consume more than 15g/person daily. 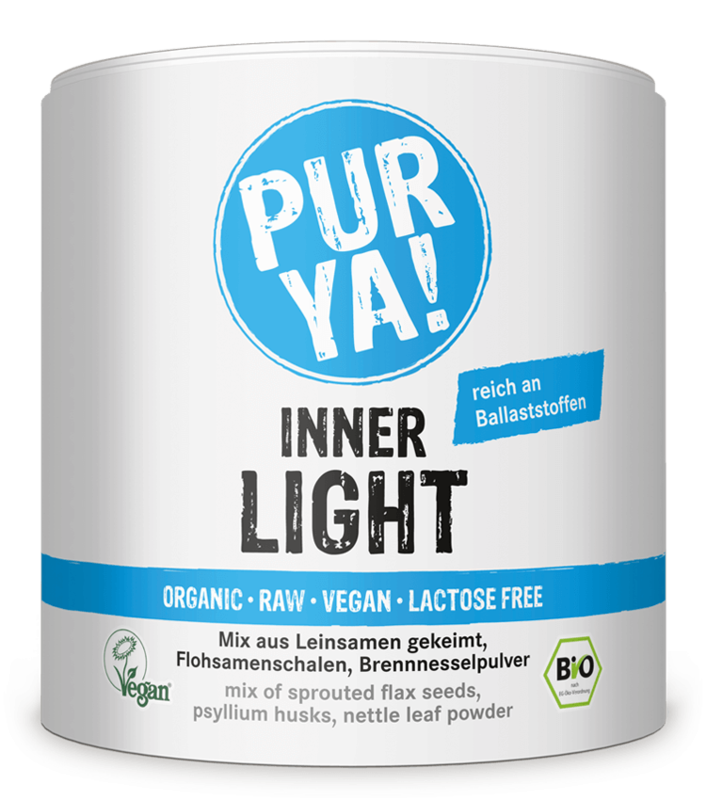 Inner Light contains valuable ingredients, such as sprouted flaxseed, psyllium husks and nettle leaf powder. Psyllium husks bulk up in your stomach and the high fibre content promotes normal bowel function. Take care of your bowels – since they are an important centre of health. Add Inner Light to your smoothies, yoghurt or favourite muesli. 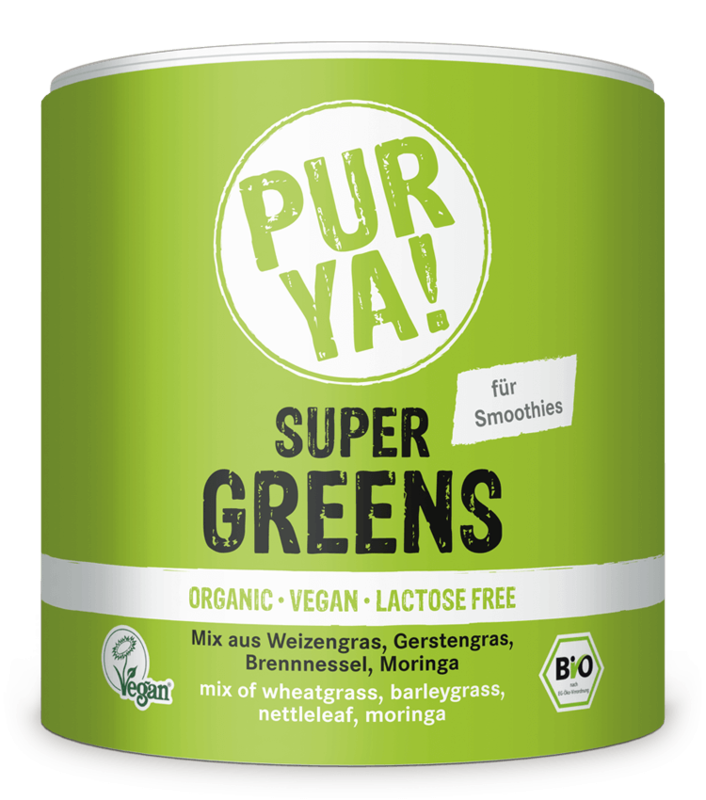 Our Super Greens with wheat grass, barley grass and nettle leaf from Germany, as well as valuable moringa are natural sources of nutrients. They are excellently suited as an addition to smoothies. 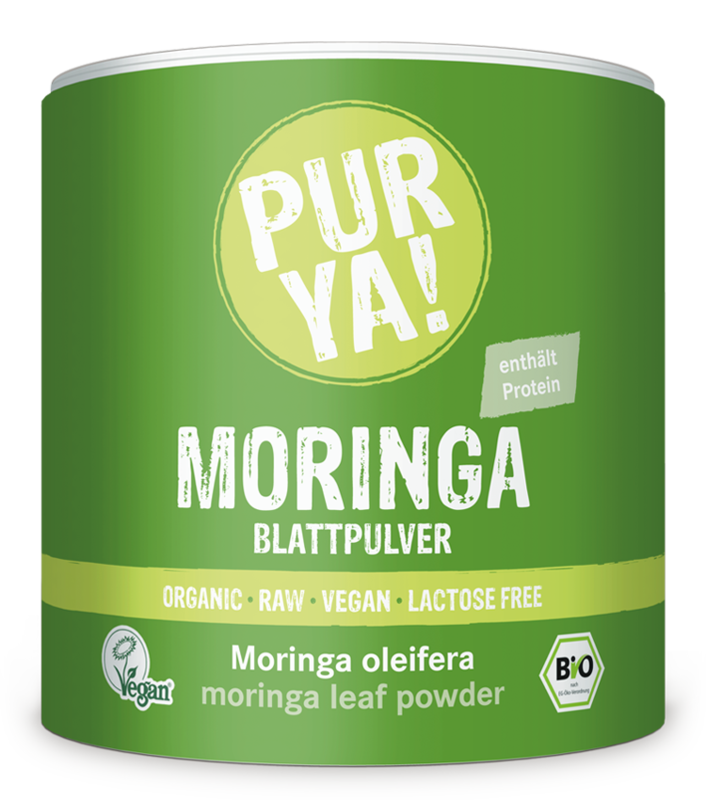 Moringa, the green superfood, has been used in many regions of the world from time immemorial. The fresh hand-picked leaves of the moringa tree ( Moringa oleifera) are gently air-dried and not heated. Thus, the product has valuable raw-food quality.